Pond Skimmer Net with Extendable Handle - Aquascape, Inc. 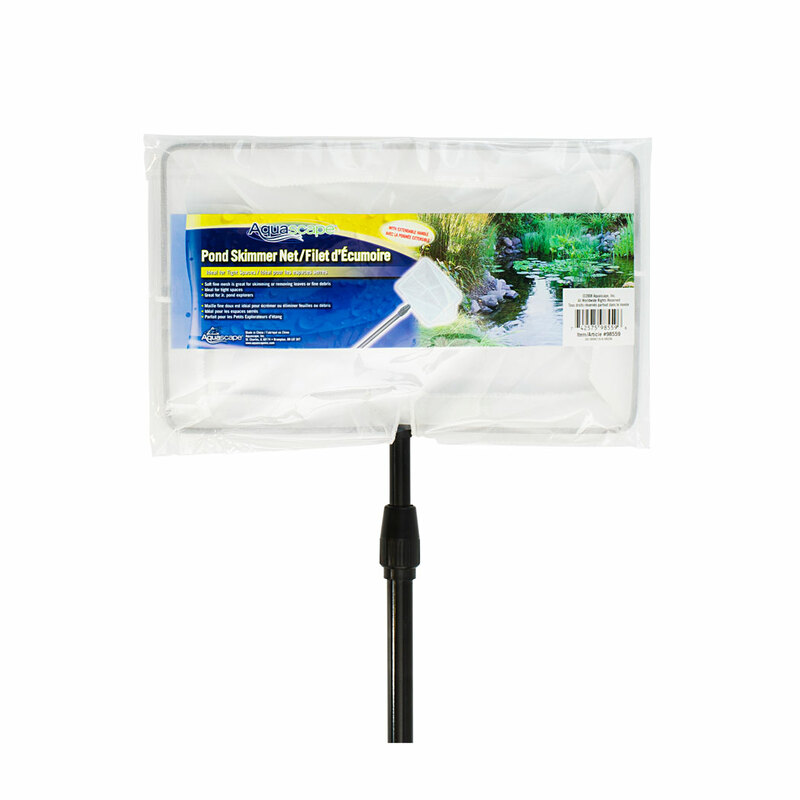 The Aquascape Pond Skimmer Net with Extendable Handle is ideal for skimming or removing leaves and other debris from ponds and other water features. Successful removal of debris significantly cuts down on maintenance and increases water quality. The compact design is great for small spaces, including small ponds and water features. Soft, fine mesh makes it easy to catch debris of all sizes. A plastic grip and lightweight frame helps to maximize maneuverability and the nylon loop on the handle makes it easy to hang for storage. The net measures 12 inches by 7 inches and the handle extends from 32 inches to 63 inches.